It's not too late to get your Halloween on! Join me for a "virtual party" on Tuesday October 11th ! You guys are gonna LOVE this!!! The best part is that ALL make & take supplies are included (YES, the frame is included!!!) with any order of $25 or more if you use hostess code: MBXA3QDS at checkout! SHOP NOW or during the virtual party! This offer and hostess code is good until Friday October 14th at midnight. Now...I LOVE Halloween projects, so I always look forward to the September Paper Pumpkin kit! This year was no exception! In fact, it was THE FIRST kit that I didn't know what was coming before I opened the box! 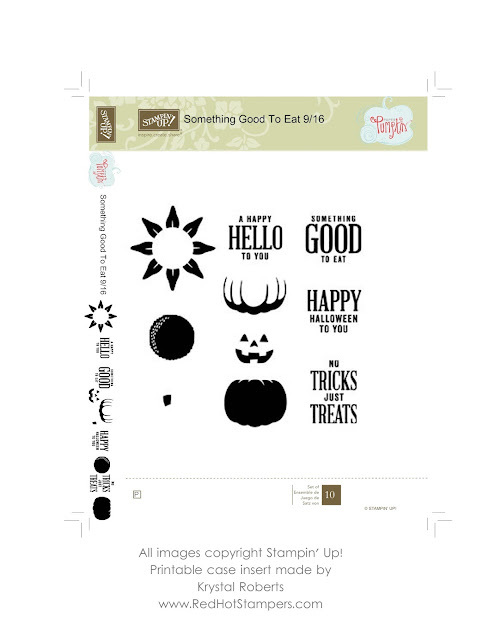 I was HOPING for a Halloween kit, and OH MY GOODNESS did Stampin' Up! deliver!!! Seriously, EVERY Halloween kit has been one of my favorites!!! Even better, these ADORABLE containers can be used for ANYTHING!!! I'm planning on SOOOOO many different holidays with them! I may or may not have already ordered several refill kits. :) I absolutely LOVE the pre-printed Halloween tags. I kinda wish they were part of the stamp set! That cat and cauldron! Supah cute! I know some of you are so not into Halloween.... we can still be friends. Seriously, this kit is ALL about those adorable test tubes! You can use them for ANY occasion!!! Unfortunately, I haven't had time to put anything together yet, but I DID make the case insert. I posted it in THIS facebook group but figured there were some of you who might not have seen it yet. So here you go! If you have any questions on printing, PLEASE post them in that group and as a community we can get it all figured out for you!!! Thanks again for stopping by!! !